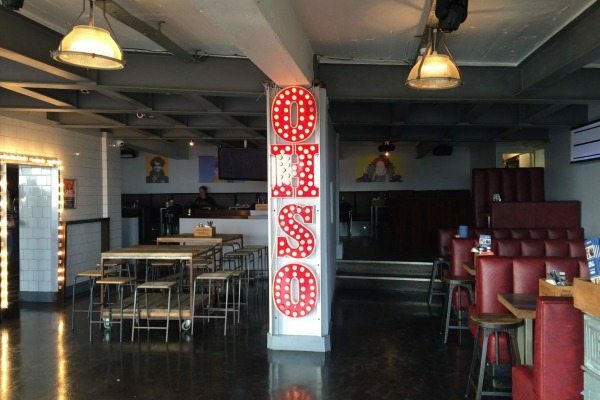 Let’s head to the beach to Ohso Social! 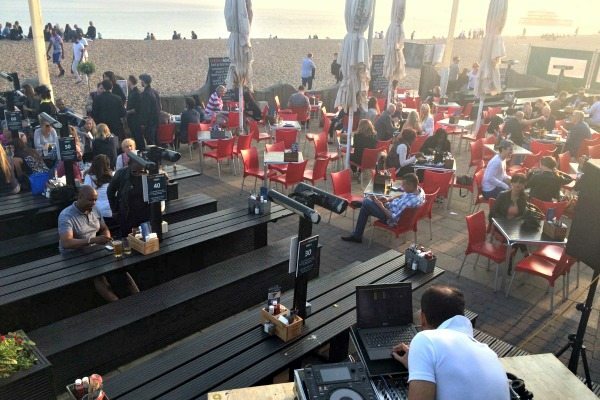 Brighton attracts thousands of tourists every year with the pebbled beach being one of its biggest attractions. 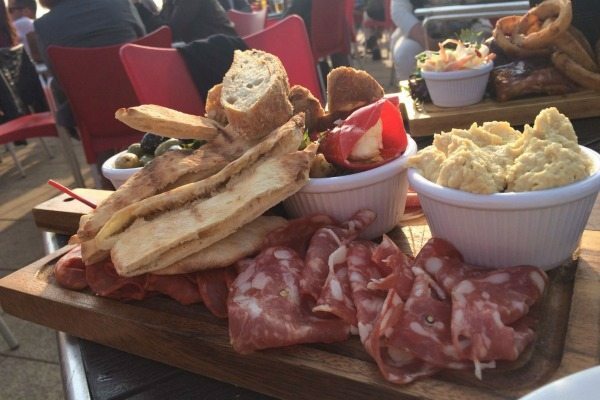 Ohso Social is situated on the beach next to the pier, it offers stunning views, a heated terrace and a great selection of light bites and foodie favourites. It’s an all-day bar restaurant and café that comes to life at night it has a great buzz in the evening with their guest DJs and bands perfect for venue hire for all occasions. We were greeted straight away, their friendly staff are always on hand. Even though they were busy we didn’t have to wait too long. 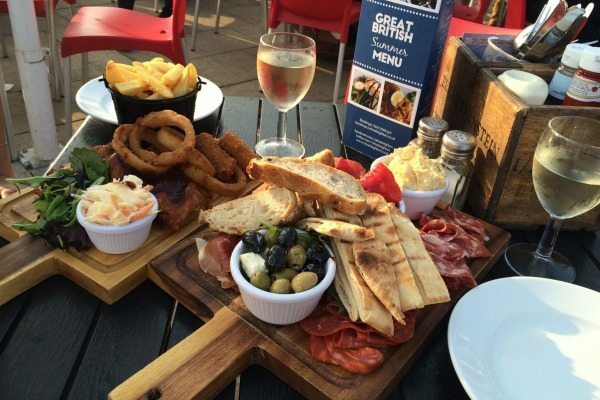 Their summer menu features sharing platters with their newest addition The American platter these are a very popular choice and great between two. Fancy a bottle of fruity crisp wine? 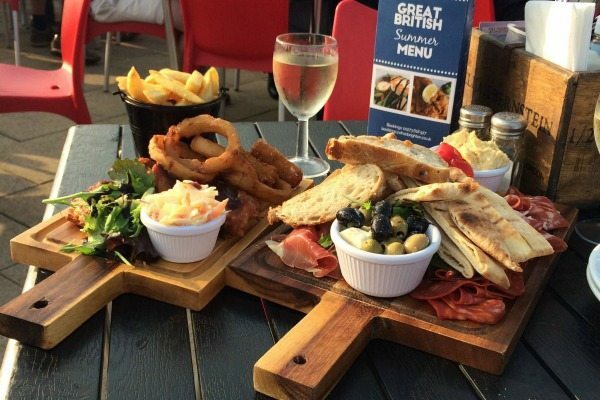 Why not choose from a great selection of drinks to go along side these sharing boards. 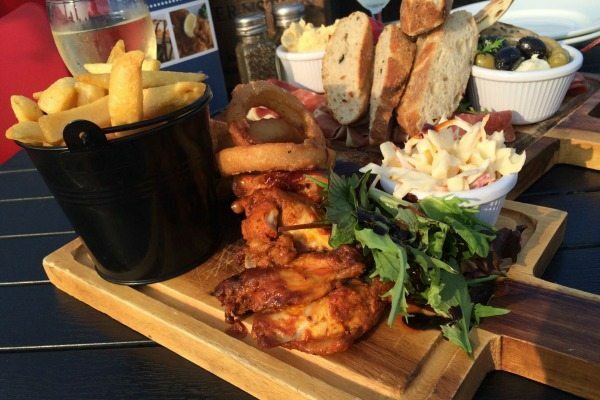 The American platter is a perfect combination of ‘pickies’ served on a board this really is comfort food at its best for real American food lovers. I started with the mac and cheese bites cheesy delights that melt in your mouth. Followed by succulent ribs drizzled in BBQ sauce that just fall off the bone – these were delish! Tender chicken wings with a kick to go with chunky chips served in a bucket, crunchy coleslaw on the side with salad. There is plenty to feel your boots with this mighty platter so no fighting over the last chicken wing. 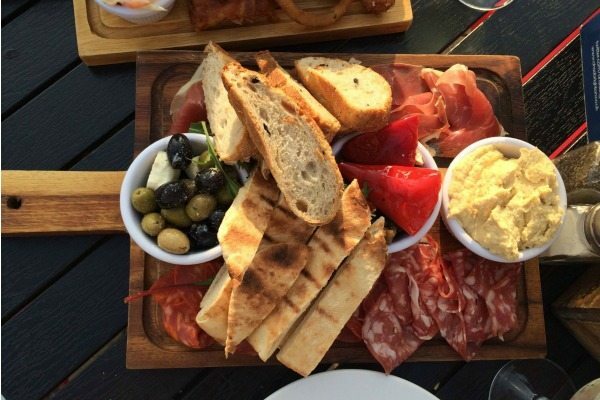 The Meat platter is fresh, tasty and true paradise for cold meat lovers. This is what I love about Summer! Cold meats, Salad and Olives reminds me of when I was child and would go to France as I would sit in my Nan’s garden and have lots of salami with bread and cheese. Salami, Parma ham, Chorizo, fresh crispy bread, Black olives with feta, Houmous, Pita and peppers. This is a very well known favourite at many places in Brighton but I must say their is something special about eating this on the beach, it gives the experience of a real holiday feel as we listened to the music and looked out to sea. Both platters were delicious even though I must say the American platter has to be my personal favourite – give it a try! As well as being perfect for eating lunch and dinner Ohso Social is also the perfect venue for special occasions just simply book in advance as they are happy to reserve an area just for you and your guest inside and outside. A hot spot for everyone! This is a great hot spot for groups, couples and families whether you are wanting a quick bite before or after you hit the beach or you would like to enjoy light bites with a view of the sunset before enjoying the nightlife, I would highly recommend to all.